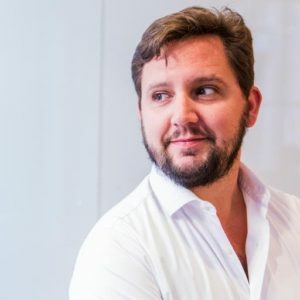 Alex is a driving force of the Paris startup scene, having founded several startups himself and worked at the capital’s startup builder eFounders before moving onto new projects. I wanted to really understand why he decided to create B2B rocks, as well as his vision for the future of the conference. Alex Delivet (@alexd) is truly flying the flag for the Paris tech startup scene. Having launched his own business with friends some years ago (TripXP), he was thrown into the deep end of building and growing a tech company out of the French capital. In our chat, we discussed some of the learnings he took away from the failed business, particularly around the experience of founding a company with friends. Nowadays, Alex is almost single-handedly organising the final stages of this years B2B Rocks conference, which is back after a 1-year hiatus, promising a stronger vision and more wholesome experience than ever. It soon became very clear to me that the conference really is made up of 100% his own vision — probably single biggest cause of its great success. An exclusive reveal with regards to its future! Listen to the full episode below. If a podcast person, you can find us on the usual channels: iTunes and Soundcloud.